With Chris Evans bowing out after just one season of the refreshed Top Gear, he leaves behind his cohost, Matt LeBlanc. While the BBC says that it has no immediate plans to change the line-up or add a new host, noted musician 50 Cent thinks that he would be a valuable addition to the team. 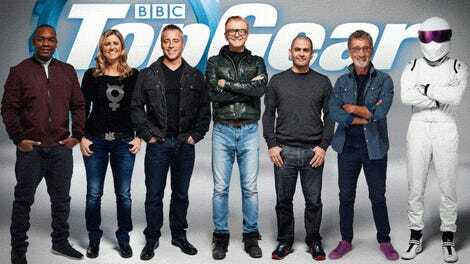 Top Gear was one of the world’s iconic shows and it’s a shame it came to this... The show since the old team left has been unrecognizable and if it don’t get back to where is should be soon then it may never recover... It’s a show you know you can watch any country you are in. It’s true, his car collection is impressive. Fiddy, who filed for bankruptcy last year, for now owns and has owned a couple of Lamborghini Murcielagos, a Rolls-Royce and a Bentley, to name a few. I’m curious as to how he plans to save the show. I’m also curious as to how much he would cost the BBC. Yet, 50 Cent has proven that he is great on camera and has good interview skills. Maybe he’s onto something here. Is There Really A Hole In This Lineup?